18V ONE+™ Trimmer-Edger/Sweeper Combo is rated 4.5 out of 5 by 283. Rated 4 out of 5 by Jay42 from A great purchase for money spent The trimmer/blower combination was a must buy when I saw it advertised. After purchasing the 18v Trimmer/Edger unit, I wanted to purchase a second battery for it. While mulling over the battery purchase, this combo went on sale for Memorial Day. I went the day the add reached our house and made the purchase. It has been the best purchase I have made in a long time. The trimmer is very light weight and easy to control. My wife has claimed it for herself because of it's weight. I like the fact it has a brushless motor...more efficient. 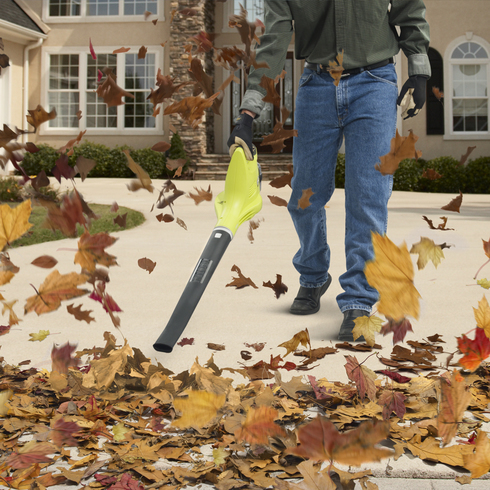 My wife and I like the blower because of its weight and it makes clean-up of the walkways and patios so easy. Rated 5 out of 5 by RickO68 from The Trimmer/Edger is the Best I have owned various trimmers in the past. This is by far the best that I have ever owned. Cordless/lightweight but powerful. Does an amazing edging job. Got the blower in the combo deal for the price of the trimmer alone. 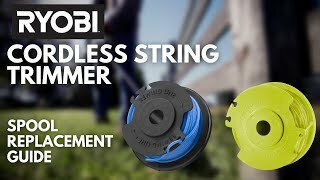 Rated 5 out of 5 by rcfairing from Workes way better that expected I bought this two weeks go because I needed at string trimmer for a small job in a remote location. I did not need or want a blower at that time but they came as a package deal. It worked a lot better that I thought it would by a mile. Got all my trimming done on one battery charge with battery to spare. Since then I have used it several more time with great results. Since then The blower than I did not really want of need has become one of the handiest tools. I have found all kinds of small jobs for it that make life much easier. I am so glad to find out how wrong I was about this blower and I am loving the little trimmer than can. Rated 5 out of 5 by Big Dog from Perfect tools for the wife. My wife loves to help me with the yard work, but the tools I've purchased in the past have all been too heavy or bulky for her to operate not to mention having to service them prior to each use. With the combo kit of the string trimmer and battery powered blower offered by Ryobi and sold at Home Depot, she now can just pop a battery into the trimmer to weed eat the yard and then use the same battery to blow off the porch and garage area's. 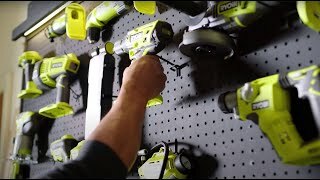 I'm looking forward to purchasing more of the Ryobi tools to add to the already large collection of Ryobi products that we own. Thank you Ryobi for great products and Home Depot making it available to the public. Rated 5 out of 5 by Doug Allan from I love any Ryobi product! I have many Ryobi products and love them all. I saw this Trimmer-Edger/Blower combo at Home Depot and thought I'd give them a try. I do have a larger gas powered trimmer and love the way it always gets the job done, but sometimes its a bit cumbersome. This smaller tools work great for the jobs that need quick attention. I can just get our the Ryobi trimmer or blower and make a quick clean up job without the bother of checking gas, mixing gas, pulling the crank until it starts up and lugging a heavy machine out of the garage to do a simple little job. I haven't had these tools long, but from what I can see, they are fantastic and I would recomend them to anyone! Rated 5 out of 5 by BecauseJeep from Great trimmer and sweeper for small yards First off I’d say I wouldn’t use this at my parents house, the yard is far too big for this trimmer. But for my little house I live in while I go to school, it’s absolutely perfect. I have about 500 feet of fence, answer maybe 100 feet of sidewalk. It will trimm around the fence, edge the sidewalk and driveway, with just enough juice left in the battery to blow all the trimmings off the pavement. Recently bought a 4.0AH battery and you can do all the things I just said twice on one charge. I also recommend a new charger, the black one hour chargers are excellent. Absolutely love this combo, and this brand. Rated 4 out of 5 by JayHam from Very happy customer I already have a trimmer but decided to purchase these items as a combo because of the price. I was a little concerned because I knew the voltage would not give me the power I was use to having with my other power tools. But, after my second usage I must admit that I am satisfied. Trimming and blowing was done with battery charge. Although the blower does not have the power I want, it gets the job done quickly without plugs or gas. My only concern is once the battery stops working as they all do, will I be able to get a replacement with buying all new equipment, because the battery is discontinued!! Rated 5 out of 5 by Tyler91 from Long lasting battery! Got this combo as a house warming gift. It does a great job cleaning up around the sidewalks and fences. The battery lasts long enough for me to weedeat, edge, and blow afterworlds. This ONE+ 18-Volt Combo Kit gets your yard chores done conveniently and effectively. This lightweight trimmer will help you clear paths up to 10 inches wide with the ability to rotate and turn into an edger. The cordless sweeper is ideal for clearing hard surfaces, and is designed for easy 1-handed operation to make quick work of those driveways, sidewalks and decks. The ONE+ 18-Volt Lithium-ion battery is compatible with all Ryobi One+ tools, that’s 50+ tools, you'll get fast recharging of the battery with the dual-chemistry quick-charger. All backed by a 3-year warranty, look to Ryobi for performance and versatility.